Port Richey was incorporated as a municipality in May, 1925. Charles H. Hoffman served as its first mayor. Perhaps the first indication that Port Richey was destined to enjoy a reputation of uniqueness was the fact that the little city was politically ahead of its time. In its first year as a municipality, a woman was elected to the council and chosen to be Vice Mayor. Her name was Susan Clark and she retained her position through four terms. Long before Port Richey was incorporated, however, it was a Mecca for fisherman and trappers. In fact, it was once an industrious Indian community and has been the home and burial ground for two separate Indian tribes. In 1883, Aaron M. Richey arrived from St. Joseph, Missouri and settled near the mouth of the Pithlachascotee, later called Richey Point. Needing a dock to moor his schooner, he purchased a small piece of riverfront property from a member of the pioneer Clark family and immediately named that piece of property Port Richey. After he settled in the area he found that mail was being carried from Brooksville to Anclote by horseback and so he decided to establish a post office, naming it the Port Richey Post Office. He served as the first postmaster and also operated a small general store on Richey Point. As other early settlers arrived, word was gradually spread among the northern states about the mild winter on the Gulf Coast of Florida. The lure of the fish and game abundance in this area spelled paradise to many adventurous northerners. The sparkling gleam of the jumping mullets coupled with the grouper, kings, snappers, and others brought the anxious anglers. Dolphins dancing over the waves in the Gulf of Mexico were a dream come true to many and the catch of a tarpon was the thrill of a lifetime, being mounted on the wall as proof of the proverbial fish story. Today, Port Richey remains internally much as it has always been. With an almost explosive growth taking place over the entire surrounding area, it remains a picturesque port for commercial fishermen teeming with serenity and charm. Typical of the traditional values that still hold sway in this unique town is the pride its citizens take in living here. 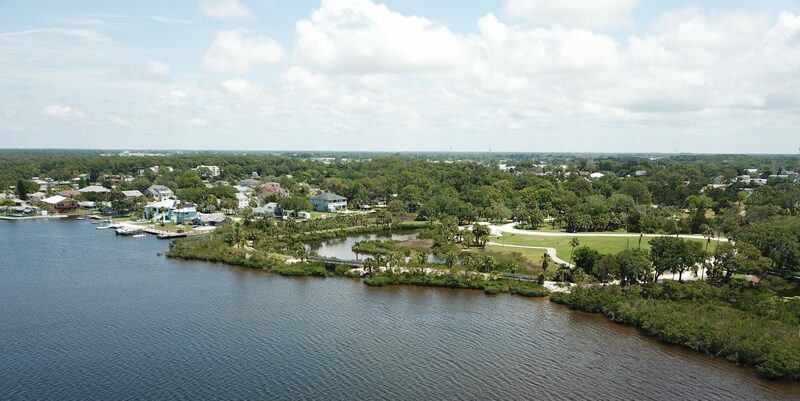 Port Richey has certainly grown in spite of traditional efforts on the part of many of its citizens to keep it as small as possible. The population of Port Richey in 1935 was only 249. Today, the U.S. Census Bureau reports that the estimated population in 2017 is 2,812. City Hall will be closed Friday, April 19, 2019 and reopen on Monday, April 22nd at 8:00 a.m to serve you. (1) Candidates for office shall have been duly registered voters in Pasco County and must physically reside in the City of Port Richey for twelve (12) months immediately preceding qualifying. (2) Any person who has been deprived of his civil rights through conviction for committing a crime involving a felony or moral turpitude, and said rights have not been restored shall not be qualified to hold office. Residents who wish to be appointed as an Interim City Council member must be present at the City Council Special Meeting on Thursday, April 4, 2019 at 7:30 pm at 6333 Ridge Road, Port Richey, FL 34668 and will have the opportunity to address City Council for a period of three minutes regarding their desire to be appointed. All nominations for potential candidates will be made by City Council and voted on by City Council. Please call 727-816-1900 with any additional questions. How do I know if my address is within the Port Richey City limits?